Dan discusses Apple & Qualcomm ending their long running dispute over patent royalties with Axios Chief Technology Correspondent Ina Fried. In the "Final Two" ride-hail drivers suffer a new indignity and President Trump coy on a media merger. Dan talks to Amanda Nguyen, the driving force behind the Sexual Assault Survivor’s Bill of Rights, who has launched an “accelerator” for ordinary people trying to get civil rights laws passed. Dan talks with former Massachusetts Governor William Weld, who will give never-Trumpers a voice in the Republican primaries. Dan and Sen. Ted Cruz discuss allegations of political bias on platforms like Facebook and Twitter. In the "Final Two", putting Uber IPO into content and why coffee is no longer essential. Dan examines Trump's push for astronauts to return to the moon by 2024 with Axios space reporter Miriam Kramer. the "Final Two", Uber gets ready for its IPO and Democrats battle over electronic tax filings. Dan welcomes on 2020 Democratic Presidential candidate Wayne Messam, Mayor of Miramar, Florida, to discuss his vision for the U.S. if elected. Dan and Axios CEO Jim VandeHei discuss the growing, bipartisan consensus that America's core economic system is broken. Plus, the UK cracks down on tech and Chuck E. Cheese returns to Wall Street. Dan examines the ramifications if President Trump were to close the U.S./ Mexico border with Axios Executive Editor Mike Allen. In the "Final Two", investors bet big against Lyft and nobody takes blame for the latest Facebook data spill. Dan looks into the toxic videos that are still allowed to be circulated on Youtube, with Bloomberg reporter Mark Bergen. In the "Final Two", Senator Warren's push for the "Ending Too Big To Jail" Act and a new football league already goes bust. Dan is joined 2020 Democratic Presidential candidate John Delaney, former U.S. Congressman from Maryland, to discuss his vision for America if he were elected. Dan discusses the Washington Post oped written by Mark Zuckerberg, with Axios Managing Editor Kim Hart. In the "Final Two" Lyft share price falls and Gmail turns 15. Dan looks at the expected Lyft IPO pricing with Paul Hudson, Founding Partner of Glade Brook Capital Partners. In the "Final Two", Facebook gets sued for housing discrimination and Google CEO's meeting with President Trump. Dan chats with ServiceNow President and CEO John Donahoe about Enterprise software. In the "Final Two", a roller coaster day for big U.S. Healthcare plans and why cities are clipping Big Tech's wings. Dan explores the bizarre controvery involving Michael Avenatti and Nike with Axios sports editor Kendall Baker. In the "Final Two", Apple's surprise announcement and McDonalds move to big data. Dan looks at the latest regarding the Green New Deal with Axios' energy reporter Amy Harder. In the "Final Two", Apple's big unveil and what the Mueller Report release made us forget about. Dan discusses the possibility of Joe Biden immediately naming a presidential running mate with Axios Executive Editor Mike Allen. In the "Final Two", some Kushner conflicts in Saudi Arabia and Google ends up on the wrong side of gay rights groups. Dan looks at the amount of money President Trump's 2020 campaign is spending on Facebook ads with Axios Media reporter Sara Fischer. In the "Final Two", Dan says why Elon Musk is in trouble again with federal regulators and the latest departure from what was once Time Warner. Dan talks more about the financial bust within the college admissions scandal from last week with Axios Chief Financial Correspondent Felix Salmon. Also, in the "Final Two" Dan dives into social media's New Zealand problem and why Silicon Valley may fall in love with Beto. Dan discusses the grounding of Boeing 737 Max jets with pilot and aviation journalist Jeff Wise. Plus in the "Final Two", Dan looks more into the college admissions bribery scandal and a Big Tech executive joins the meatless meat movement. Dan chats with Yahoo! Sports Columnist Dan Wetzel about how wealthy and famous parents are paying and cheating their children's way into college. Also, in the "Final Two" Dan talks about why Amazon became America's top lobbyist and what Tesla knows about you. Dan talks about Senator Elizabeth's Warren recent column on breaking up Big Tech with Axios tech reporter David McCabe. Plus in the "Final Two", what automation really means for workers and why cloud software is more about the oceans than the skies. Listen for the latest update regarding the Pro Rata Podcast. Filling in for Dan today is Nicholas Johnston who talks about everything that has been going on in Venezuela and what might happen next with Axios World Editor Dave Lawler. In the "Final Two" Nick talks about how deficits might not matter and what you may not know about DNA testing. Dan looks at the changing political rhetoric regarding climate change with Axios Science Editor Andrew Freedman. Plus, in the "Final Two", how police pull over self-driving cars, and Elizabeth Warren vs. Socialism. On today's show, Dan talks about the arrest of Michael Calvey, American founder of a Russian-focused private equity firm with Bill Browder, CEO of Hermitage Capital. In the "Final Two", Dan dives into why 16,000 shoe store workers are losing their jobs and the new role of technology in the 2020 campaign. Dan is joined by Axios Executive Editor Mike Allen to discuss the dichotomy of socialism and freedom that a lot of Republicans want to solidify before the 2020 election. In the "Final Two", Dan talks about a big named US investor who got arrested in Russia and the new way that Siri plans to compete with Alexa. A special Friday episode in light of the news that Amazon HQ2 will not be in Long Island City. Dan examines all that went into the decision with Axios' David McCabe and Erica Pandey. On this Valentine's Day, Dan looks at the fixation of online dating with Axios' Jessie Li. Plus, in the "Final Two", Facebook tries to write a constitution and the Venture Capital "Boys Club". Dan talks about the failing transportation infrastructure that is going on in California with Transportation Economist Noël Perry. In the "Final Two" Dan dives into Silicon Valley giving Saudi Arabia a pass and a 145 year old company that files to go public. Dan talks about the impact and growth of Reddit with its Co-Founder Alexis Ohanian. In the "Final Two" Dan goes into the possible return of Toys R Us and how Amazon has gotten even deeper inside your house. Dan talks about the mega merger between Sprint and T-Mobile with Axios Tech Reporter David McCabe. In the "Final Two" Dan dives into what Morgan Stanley has taught us about tech startups and Amazon hearing the HQ2 heat in NY. Dan talks with Axios reporter Erica Pandey about the broken promises about job creations. In the "Final Two" Dan talks about how Trumps businesses are getting looked into and how AI is preparing to take on Pictionary. Dan examines America's feeling of a phantom recession with Axios Markets Editor Dion Rabouin. Plus in the "Final Two", a big mystery in crypto-land and a former Trump campaign adviser calls out Axios. On todays show Dan talks with Alex Carbone, an Uber driver who is leading the protest to get higher wages for drivers. Also, in the "Final Two" Dan dives into what the big tech Super Bowl ads taught us and the fallout from President Trumps executive time. Dan looks at the upcoming Super Bowl with Axios Sports Editor Kendall Baker. Plus, in the "Final Two" questions regarding the Foxconn factory in Wisconsin and the lack of buzz around cryptocurrencies. On today's show Dan dives into the growing crisis in Venezuela with Axios World Editor David Lawler. In the "Final Two" Dan talks about how Facebook is once again stepping in "it" and the latest on the "so-called" trillion dollar infrastructure plan. Dan examines the new charges against Huawei with Axios' China reporter Bill Bishop. Plus, in the "Final Two", the Koch brothers turn to tech regulation and the relationship between Starbucks and Howard Schultz is about to get much more complicated. Dan talks about the possibility of former Starbucks Chairman and CEO Howard Schultz running for President as a centrist Independent with Axios' Executive Editor Mike Allen. In the "Final Two" Dan discusses what President Trump could do to help Venezuela and a high risk engineering gamble that Facebook is making. Dan talks about all things Washington DC and if the government shutdown might soon see the end, with Axios Executive Editor Mike Allen. In the "Final Two" Dan talks about Mark Zuckerberg's latest Facebook defense and how Toys R Us might be making a comeback. Dan discusses the Football Leaks story with Axios' Sports Editor Kendall Baker. Plus in the "Final Two", Buzzfeed layoffs and U.S. Secretary of Commerce Wilbur Ross comments regarding those affected by the government shutdown. Dan looks back at the death of the unicorn that was Theranos with ABC News' Rebecca Jarvis. In the "Final Two", it's Day 33 of the government shutdown and CBS rejects a medical marijuana ad for the upcoming Super Bowl. Dan examines the effectiveness of the World Economic Forum in Davos, Switzerland with Axios' Chief financial correspondent Felix Salmon. Plus in the "Final Two", changes may be coming to one of the internet's oldest success stories, and the latest on the record- setting government shutdown. Dan talks about the escalating tech lash that is occurring with Dean Garfield, the President and CEO of ITI. In the "Final Two" Dan examines the "Harry Potter Effect" on Silicon Valley and President Trump's new documentary...sort of. Dan talks about the latest in the government shutdown with Axios' White House correspondent, Jonathan Swan. In the "Final Two", a look at how Sears gets saved and what view the Attorney General nominee has on Silicon Valley tech giants. Dan examines how startups are pushing back against venture capitalists with Erin Griffith, San Francisco based reporter for the New York Times. Plus, in the "Final Two", a new candidate for Intel CEO and the slow pace of the electric car revolution. Dan talks about where the future of retail is headed and how the internet is changing everything with Axios future reporter Erica Pandey. In Dan's "Final Two", he dives into the latest with USA Today and a surprise from President Trump on the shutdown. Kim Hart gives you this bonus edition of "Pro Rata" as she looks at how Amazon could be under scrutiny for its own private label products with Axios tech reporter David McCabe. Plus, in the "Final Two", another casualty in the government shutdown and a self-driving car start-up is getting quite the cash infusion. Kim Hart fills in for Dan today and chats with Axios' Science Editor Andrew Freedman about the polar vortex and why we experience certain weather patterns. Also in the "Final Two", Kim talks about a key defeat in Brexit negotiations and how 18-27 year olds feel that they will never be able to pay off their debt. On today's show, Dan talks about how one company (Lambda School) is trying to help people get a college education without the debt, with their CEO Austen Allred. Also, in the "Final Two" Dan dives into President Trump's latest folly and the official end of a great American retailer. Dan talks about the the federal government shutdown with Axios Executive Editor Mike Allen. Also, in the "Final Two" Dan dives into Facebook complaining about their media coverage and what the future holds for Sears. Dan talks with Axios Energy and Climate reporter Amy Harder about the "Green New Deal. "In the "Final Two" Dan talks about how the tech world prepares to converge on Las Vegas and also the U.S jobs picture getting much brighter. Dan talks about how Apple has fallen short of it projected earnings and what its future might look like with Axios Chief Technology Correspondent Ina Fried. Also, in the "Final Two" Dan talks about how the NFL might be getting into sports betting with their latest sponsor and what President Trump still doesn't understand about his own tariffs. Dan looks at how Netflix is taking on the traditional Hollywood Box Office with Axios media reporter Sara Fischer. Plus, in the "Final Two" why the government shutdown could affect Lyft and Elizabeth Warren's capitalism test for Democrats. Axios Managing Editor Kim Hart discusses the D.C. attorney general’s lawsuit against Facebook for allegedly misleading users about sharing their personal data with Axios tech reporter David McCabe. Plus, in the “Final Two,” the Justice Department indicts two Chinese hackers for attacking U.S. companies and agencies, and the next Congress comes to Washington in January. Dan is on vacation until 2019 but with sports betting becoming legal in Washington DC, we felt now was a great time to bring back an interview that we did with Ted Leonsis, CEO of Monumental Sports & Entertainment which includes the Washington Capitals & Wizards, to discuss the future of sports betting. Dan discusses the decision by CBS to not give former Chairman and CEO Les Moonves his $120 million severance with Axios media reporter Sara Fischer. Plus, in the "Final Two", Amazon's latest HQ2 headaches and another episode of "Trump vs. The Fed". Dan and Axios' Steph Kight discuss the global refugee crisis — 60 million people, larger than the populations of France or the UK — and why developed counties like the U.S. are so uninterested in helping. Dan talks about President Trump's legal issues with Peter Stris, the attorney for Karen McDougal. Also, in the "Final Two" Dan talks about Facebook's next act and a CEO's important message on "Me Too". Dan examines the impending troubles facing President Trump in the 2nd half of his term with Axios CEO Jim VandeHei. Plus, in the "Final Two", New Yorkers push back against Amazon HQ2 and changes are afoot for the TV industry. Dan talks about his decision to join Axios two years ago and is joined by Evelyn Rusli, the co-founder of Yumi, to talk about the risks associated with starting a new company. Also, in the "Final Two" Dan dives into the congressional "grilling" of the Google CEO and Uber's IPO taking a giant step forward. Dan spends the entire episode looking at how gender division relates to actual political party leadership with Axios reporter Alayna Treene. Dan talks about the arrest of a top Chinese tech executive in Canada and what it means with Axios contributor Bill Bishop. Also, in the "Final Two" Dan talks about how Elon Musk can't ever help himself and the upcoming IPO battle between Uber and Lyft. Dan evaluates the controversial document dump involving Facebook with Sarah Frier, Tech reporter for Bloomberg. Plus in the "Final Two", the arrest that is shaking global stock markets and a meeting at The White House with Tech executives. Kim Hart guest hosts for Dan and looks into the deepening digital divide across the nation for school children with Axios' Meg Marco. Plus in the "Final Two", Facebook drama in Great Britain and National Day of Mourning for President George H.W. Bush. Dan talks about the meeting President Trump had over the weekend with President Xi Jinping of China with Axios' chief financial correspondent Felix Salmon. In the "Final Two" Dan, examines why Microsoft is the world's most valuable company and remembers Former President George H.W. Bush. Dan goes into the controversy around genetically edited embryos that may have been born in China with Axios' Eileen O'Reilly. Plus in the "Final Two", the fall of Silicon Valley's "so called adults" and the you might soon see the Marlboro Man vaping. Dan looks at the recently released climate change report and the Trump administration's response to it, with Axios' energy & climate news reporter Amy Harder. Plus, in the "Final Two", President Trump's mostly empty threat against GM, and the new start-up that wants to take on Amazon. Dan talks to Christopher Ailman, Chief Investment Officer of the California State Teachers' Retirement System, where he manages $220 billion and has spearheaded an effort to get gun makers, distributors and retailers to act more responsibly. Plus, in his final two, GM's big economic message and one way Google beat Amazon in 2018. Dan talks about the future of self-driving cars with Axios' Joann Muller, who covers autonomous vehicles and the future of transportation. In the "Final Two" Dan talks about Air BnB filling it's Chief Financial Officer position and also Elon Musk and the likelihood of him going to Mars. Dan looks at how the White House statement on Saudi Arabia affects the American business community with Axios National political reporter Jonathan Swan. Plus in the "Final Two", Mark Zuckerberg says he isn't stepping down as Facebook chairman, and something to remember during Thanksgiving. Dan talks about the future of legal sports betting with Axios Reporter Mike Sykes. In the "Final Two" Dan talks about Amazon trying to get into the sports world and the fired Toys-R-Us workers finally getting a break. Dan talks about the mess surrounding Facebook and CEO Mark Zuckerberg with New York Times reporter Mike Issac. Also, in the "Final Two" Dan talks about the Nissan Chairman, Carlos Ghosn who was arrested by prosecutors in Japan after an internal investigation revealed "significant acts of misconduct" and the latest with the White House Correspondents Dinner. 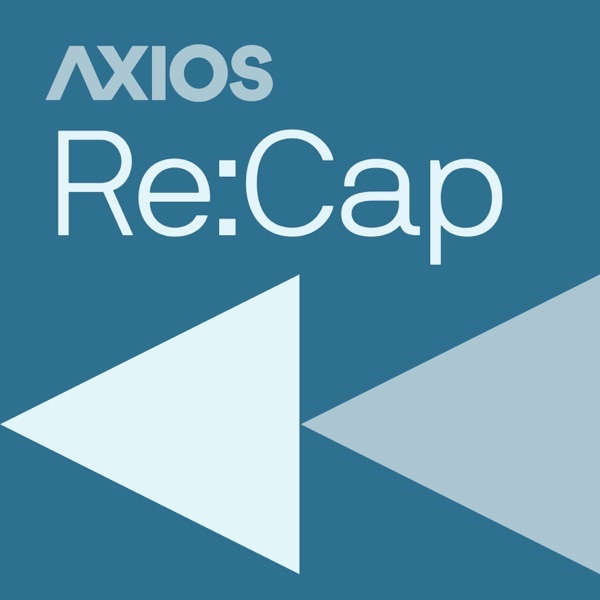 Dan examines the effects the walkouts at Google had for forced arbitration regarding sexual harassment with Axios Chief Technology Correspondent, Ina Fried. They also address the fallout at Facebook following the bombshell report from the New York Times. Plus in the "Final Two", Uber's big speed bump on the way to IPO, and President Trump's very challenging electoral map for 2020. Dan looks into how big media mergers and the Trump Administration are at odds with Axios Media reporter Sara Fischer. Plus in the "Final Two", Amazon makes it official and General Electric stock troubles. On this Veteran's Day, Dan talks about the big issue of Veteran's taking their own lives with Jennifer Primack, a research physiologist at the Providence VA Medical Center. In the "Final Two" Dan looks into the latest in Trump vs. Amazon, and the giant IPO that was suppose to happen this week, but now, won't. Dan asks what's next for our nation's economy now that the midterms are over, with Democrat Jennifer Wexton, who was victorious in her race to win the congressional seat in the Virginia 10th. Plus, in the "Final Two", Fortune sale troubles and Ford Motor Company buying Spin. Dan dives into what the election results in the midterms mean with Axios Editor in Chief Nick Johnston. Plus in the "Final Two", why me might learn a whole lot more about Space X and new invasive identification technology in China. Dan talks about the future of Amazon and where they are reported to be opening their new headquarters with Axios reporter Erica Pandey. Also, in the "Final Two", Dan gets into how Facebook apologizes for its actions in Myanmar and what happens when private equity owns a popular pizza chain. Dan talks about the 2018 mid-term elections and how important this election is and how important it is for everyone to go out and vote with Axios political reporter Alexi McCammond. Also, in the "Final Two" Dan dives into the big thing no one knows about Amazon HQ2 and Softbanks CEO finally speaking out on Saudi Arabia. **Special Weekend pop-up**. Dan recently spoke with Ohio Governor John Kasich. Here are the highlights including topics such as autonomous vehicles, and of course, the Midterms. Dan talks about how Twitter helped stop the bullying of a 5 year old boy who wanted to wear nail polish to school with Aaron Gouveia, the father of the 5 year old. Plus, in the "Final Two" Apple explores stake in iHeartMedia and Fortune 500 companies contributions for the Midterms. Dan explores the controversial Prop C initiative in San Francisco with Sales Force CEO Marc Benioff. Plus in the "Final Two", how we identify a trade war, and how Google is handling harassment. Dan looks at the failure that was "The Davos in the Desert" with Axios chief financial correspondent, Felix Salmon. Plus in the "Final Two", the largest software merger in history and the rise of belief- driven buyers. Guest host Kim Hart looks into the rising cost of childcare and it's role as the new front in the job war with Axios reporter Erica Pandey. Plus in the "Final Two", President Trump's Midterm Rally Blitz and Twitter's users loss. Guest host Kim Hart looks at the rash of voters being targeted with political text messages with Doreen Christensen, columnist at the South Florida Sun Sentinel. Plus in the "Final Two", gender gap ahead of the Midterms and Apple CEO Tim Cook doubles down on the dark side of technology. Dan talks with Axios reporter Sara Fischer about weaponizing social media in the wake of the murder of Washington Post journalist Jamal Khashoggi. Also, in the “Final Two” Softbank finally takes a stand on Saudi Arabia…sort of, and the future of robotics. Dan talks about how Washington State is trying pass a carbon price that could affect climate change with Axios climate reporter Amy Harder. Also, in the “Final Two” Dan talks about how tech is providing it’s own privacy regulations and the biggest name being completely silent on the situation in Saudi Arabia. As the Midterms are less than 3 weeks away, Dan brings on Axios Executive Editor Mike Allen for a look at the momentum in campaign donations for Democrats. Plus in the "Final Two", Facebook's pre-election charm campaign and the discomfort in tablet based tipping. Dan looks into the developing situation regarding Saudi Arabia and the disappearance of journalist Jamal Khashoggi with Axios World Editor Dave Lawler. Plus in the "Final Two", Dan talks about the Uber IPO and fake election hacks. As a new NBA season tips off, Dan looks at the various ways the league stands out compared to other professional sports leagues with Boston Celtics Co-Owner Wyc Grousbeck. In the "Final Two" Dan talks about the troubles in the antibiotic market and Carl Icahn vs. Michael Dell (again). Dan talks with New York Times columnist Nicholas Kristof about Jamal Khashoggi, the White House reaction, and what comes next. Plus, in his Final Two, Dan discusses Sears' bankruptcy and how Facebook is working to help you hear through your skin (not your ears). Dan takes a look toward the midterms with Axios CEO Jim VandeHei. Plus, in the "Final Two" the stock market gets hammered and Big Tobacco getting into the marijuana game. Dan looks at the effect that Hurricane Michael will have on the Florida Panhandle as he is joined by Andrew Freedman, Science Editor at Axios. In the "Final Two", Broadcom's security nightmare and SoftBank's attempt at a majority stake in WeWork. Dan and Ina Fried, Chief Technology Correspondent for Axios, discuss how Google inadvertently left user data vulnerable, and why it didn't disclose until the Wall Street Journal found out. Plus, in his Final Two, Dan talks about Nikki Haley's surprise resignation and what Jamal Khassogi's disappearance could mean for global tech investing. Highlights of a recent conversation between Dan, Anthony Scaramucci and Brex CEO Henrique Dubugras. Dan is joined by Rep. Brad Sherman (D-CA), who yesterday joined Sen. Bernie Sanders (D-VT) in introducing new legislation that would break up "too big to fail" banks like J.P. Morgan and Wells Fargo. Dan and Axios media reporter Sara Fischer discuss a new law that is being celebrated by both musicians and music streaming services, in a rare win-win. Plus, in his "Final Two," Dan discusses Apple's privacy push and the possible return of Toys "R" Us. Dan looks at the potentially big November for Democrats with Axios Political Reporter Alexi McCammond. Plus, in the "Final Two", Amazon bumps its minimum wage and another dotcom bubble burst. Dan and Axios' Felix Salmon discuss the settlement between Tesla's Elon Musk and the SEC. In his "Final Two," Dan discusses GE's CEO shakeup and Trump vs. California on net neutrality. Dan looks into new troubles for Facebook with Axios tech reporter David McCabe. Plus, in the "Final Two", a rash of start-up funding, and Michael Bloomberg's presidential aspirations. Dan discusses Fortune's "Most Powerful Women" list with editor Leigh Gallagher. Plus in the "Final Two" a look at Big Tech's day at Capitol Hill regarding privacy, and the gig economy trend. Dan talks about Kevin Systrom and Mike Krieger, the co-founders of Instagram, leaving the company with Axios Chief Technology Correspondent Ina Fried. In Dan's "Final Two" he talks about the hazy future for vaping companies and a roundtable on the future of crypto currency. Dan looks closer at the electoral ramifications of last year's tax cuts with Axios Executive Editor Mike Allen. In Dan's "Final Two", cannabis capitalism on the rise and the Fox/Comcast takeover battle. Dan talks about scooter wars and how they are turning into a legitimate form of transportation in major cities with Axios Reporter Kia Kokalitcheva. In Dan's "Final Two" he talks about the latest trouble with Tesla and how the steel industry is not getting the investments that they we expecting. Dan talks with Brendan Kennedy, CEO of medical marijuana company Tilray, about industry growth, regulation and his company's move into the American market. Plus, in his Final Two, Dan discusses the escalating US-China trade wars and the world's first space tourist. Dan talks about blockchain based voting and tech with the CEO of Tusk Ventures and author, Bradley Tusk. In Dan's "Final Two" he talks about the Salesforces CEO, Marc Benioff taking over Time Magazine and the political ramifications of the Brett Kavanaugh allegations. Dan looks at the approaching 10 year anniversary of Lehman Brothers bankruptcy and the accompanying financial crisis with Neil Cavuto, Managing Editor at Fox Business Channel. Plus in the "Final Two", the Apple event reveals and Peloton lawsuit against Flywheel. Dan dives into Hurricane Florence and how extreme weather impacts business, with Axios Science editor Andrew Freedman. Plus, in his Final Two, he talks about a possible vaping ban and why Sprint's merger with T-Mobile is no longer a sure bet. Description: Les Moonves was the most powerful man in TV until yesterday, and Dan breaks it all down with Axios media reporter Sara Fischer. Plus, in his "Final Two," Dan discusses Jack Ma's retirement and the rise of robot restaurants. All in just 10 minutes, to get you smarter faster. Dan moderated an Axios event Friday in Boston and here are the highlights of his interviews with General Motors CEO Marry Barra, Tusk Ventures Founder Bradley Tusk, and 11 time NBA All Star Chris Bosh. Dan talks about the state of the NFL, and how tech has changed the game, with Hall of Fame Quarterback Steve Young. In his "Final Two," Dan discusses the congressional hearings on tech and the future of Les Moonves at CBS. Dan discusses Nike's decision to add Colin Kaepernick as a face of the company with ESPN sports business reporter Darren Rovell. In the "Final Two," Dan talks about big tech heading to Capitol Hill and two Reuters reporters getting arrested in Myanmar. Dan examines Sen. Bernie Sanders' new tax plan for Amazon and other big American businesses with Axios chief financial correspondent Felix Salmon. In the "Final Two," he discusses Donald Trump Jr.'s plans for a right-wing Facebook, and why corporate climate change goals fall short. Dan looks into the severance pay fight for former workers of the now defunct Toys "R" Us with Carrie Gleason, policy director at OUR. In the "Final Two" he dives into self diving car accidents and the latest on Trump vs. Google. Dan breaks down Trump's new tech fight with Axios executive editor Mike Allen. Plus, Dan's "Final Two" on what's new in trade wars and what we might have just learned about teens and their screens. Dan talks about the bull and bear cases for Bitcoin with CNBC's Melissa Lee. In his "Final Two" Dan dives into Elon Musk and his role in the Tesla buyout, along with what Warren Buffet's latest investment might be. It's all here and more on The Pro Rata Podcast with Dan Primack. The Power Grid - Can It All Really Be Hacked? Dan dives into the security of power grids with Axios' cyber-security reporter Joe Uchill. Plus, in the "Final Two" Dan examines President Trump's quote about how impeachment would affect your wallet, and United Airlines' decision to charge more for some economy seats. Dan examines the latest regarding Michael Cohen & Paul Manfort and its effect beyond the White House with Axios CEO Jim VandeHei. Plus, in the "Final Two", Facebook finds more fake news & what wildfires have to do with net neutrality. Dan discusses the changing face of fake news with Axios media reporter Sara Fischer. In the "Final Two" Dan talks about Uber finally hiring a CFO and dueling lawsuits surrounding a Silicon Valley venture capitalist. It's all here and more on the Pro Rata Podcast With Dan Primack. Dan is joined by Axios managing editor Kim Hart to talk about online privacy and a new report on how Americans care less and less about it. Also, in the "Final Two", Dan talks about how SpaceX could help Elon Musk buy Tesla and what's next in the trade wars with China. It's all here and more on The Pro Rata Podcast with Dan Primack. Dan is joined by Ted Leonsis, CEO of Monumental Sports & Entertainment which includes the Washington Capitals & Wizards, to discuss the future of sports betting. Then in the "Final Two", Dan examines the latest with Tesla financing and a lawsuit against AT&T over digital identity theft. Will Trump's Space Force Fly? Dan welcomes on Lauren Meier, news editor at Axios, to learn more about the creation of President Trump's Space Force. Then in the "Final Two", Dan looks at the growing tech bubble and a role reversal between the U.S. and China. Dan is joined by Seema Verma, Administrator for the Centers for Medicare & Medicaid Services (CMS), to talk about how patients should be given control over their data and medical records. Also, in the "Final Two" Dan talks about how Turkey is trying to ban US electronics and the latest on Elon Musk and Tesla. Dan is joined by Trae Stephens, a partner with Peter Thiel's Founders Fund, to talk about why he believes tech workers are ostracizing the US military, and why that could threaten national security. Also, in the "Final Two" Dan talks about Elon Musk explaining himself in taking Tesla private and a stunning decision in California on the scooter wars. Changes Coming To Uber In NYC? Dan is joined by Uber executive Josh Gold to talk about how New York City just voted to limit the number of Uber vehicles and enforce a minimum wage for drivers. Dan also talks about how Twitter CEO Jack Dorsey is trying to address the controversy surrounding Alex Jones on its platform, and the failure of a big media merger in his "Final Two". Dan welcomes on Steve LeVine, Future Editor at Axios, to dive into Elon Musk's tweet that he is considering taking Tesla private. Plus, Dan looks at the arrest of U.S. Representative Chris Collins and the hacking of mid-flight WiFi in his "Final Two". All that and more on The Pro Rata Podcast with Dan Primack. Dan talks with Axios’ Dave Lawler about the drone attacks in Venezuela. The guys talk about what actually happened and if there was a planned assassination attempt of Venezuelan President Nicolas Maduro. Dan also gets into how techies might be looking to get into politics and how Gary Cohn, former Goldman Sachs president, thinks Facebook is worse than pre-crisis big banks. Dan is joined by Axios' David McCabe to discuss the recent report of the U.S. House of Representatives seeking the testimony of Twitter CEO Jack Dorsey regarding possibility of limiting the reach of conservative accounts. Dan also addresses the latest in Amazon second headquarters search in his "Final Two". All that and more on The Pro Rata podcast with Dan Primack. Dan welcomes on Sara Fischer, media reporter for Axios, for immediate reaction to the CBS earnings call amid the misconduct allegations against Chief Executive Les Moonves. Dan talks with Axios national political reporter Jonathan Swan, who attended an event with Ivanka Trump. Jonathan talks about his biggest takeaways from Ivanka on many things including her views of immigration and trade. Dan also talks about self driving cars and what issues might need to be cleared before being released to the public. It's all here and more on The Pro Rata Podcast with Dan Primack. Dan welcomes on the owner of the Overwatch League's Dallas Fuel, Mike Rufail, to explain the current and future landscape of eSports. Plus a look at the latest with Facebook. All this and more is on the Pro Rata Podcast with Dan Primack. Dan talks with Axios reporter, Zach Basu about the panic over 3D printed guns. They discuss how on August 1st, people will be able to download blueprints for 3D guns and learn how to print their own guns without being traced. Dan also talks about the next big tax cut and the shrinking of GE in his "Final Two". It's all here and more on The Pro Rata Podcast with Dan Primack. How Concerned Should We Be With Election Hacking? Dan is joined by Axios cybersecurity reporter, Shannon Vavra. They talk about the major issues in hacking elections with the midterms coming up and if we can believe the results of the upcoming elections. Dan also discusses how people will be able to do sports betting from their phone. All this and more is on the latest Pro Rata Podcast with Dan Primack. Dan welcomes on the heath care business reporter from Axios, Bob Herman to discuss his deep dive into the true income of corporate CEOs. Plus, Dan talks about Facebook's rough day. All of that and more on today's Pro Rata Podcast with Dan Primack. Dan is joined by Axios Managing Editor Kim Hart, for a look at how 5G could widen the digital divide between cities and rural areas. Plus, Dan looks into President Trump's tweet regarding the Sinclair decision from the FCC. All of that and more on today's Pro Rata Podcast with Dan Primack. Dan is joined by media reporter Sara Fischer to discuss the future of print media and if local papers have a future or are dying a slow death. Dan also talks about how former Uber employees are joining together to launch new startups. All that and more on today's Pro Rata Podcast with Dan Primack. Dan is joined by the founder and executive editor at Axios, Mike Allen, to discuss the issues that President Trump has with Amazon and the Washington Post. Dan also talks about the possible future job of "space trash collectors." All that and more on the debut of The Pro Rata Podcast with Dan Primack. Subscribe to Axios’ Pro Rata podcast with Dan Primack to get smarter, faster on the collision of tech, business, and politics in 10 minutes. Coming Monday July 23rd.